← The Driver’s Edge: An open letter to the CEO of Ford Motor Co.
We all know the classic car enthusiast. Loves his/her vehicles, goes to car meets, spends most of the day on forums looking up trivial data on their vehicle and their next vehicle, wears all sorts of car branded clothing, does the occasional red light race, and tries to convince anyone who will listen that their car is the best, and that they should get one. Then they get back home and plug in their car to charge. It’s been a very interesting year for me. To be honest, I should first of all come clean: I used to hate electric cars. 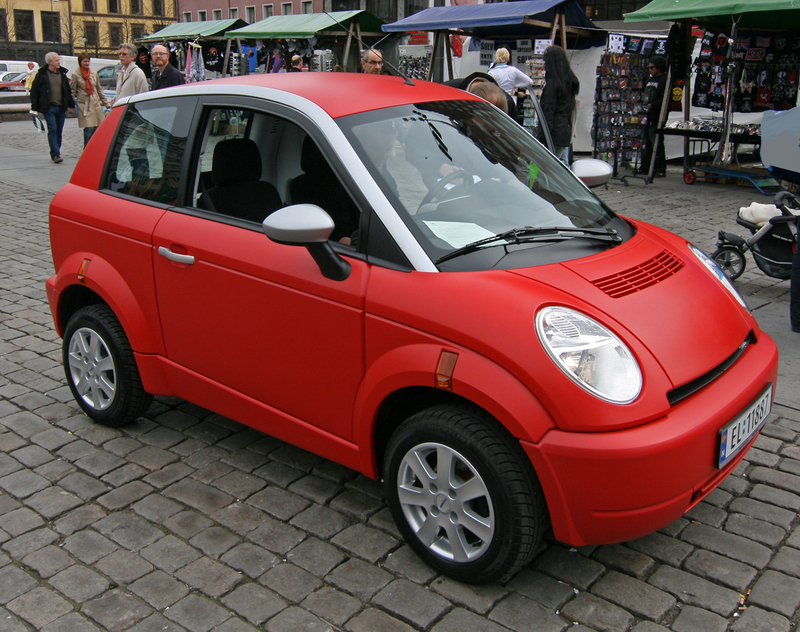 But when I was young, an electric car was something like this random piece of rolling plastic called a Think. Think City electric car.. I think it’s from Norway? Then things changed, the Tesla Model S came out, and all of a sudden, electric cars were cool. So I did what any open-minded person would do, and looked into the car culture around electric cars, which in Montreal, is really big. 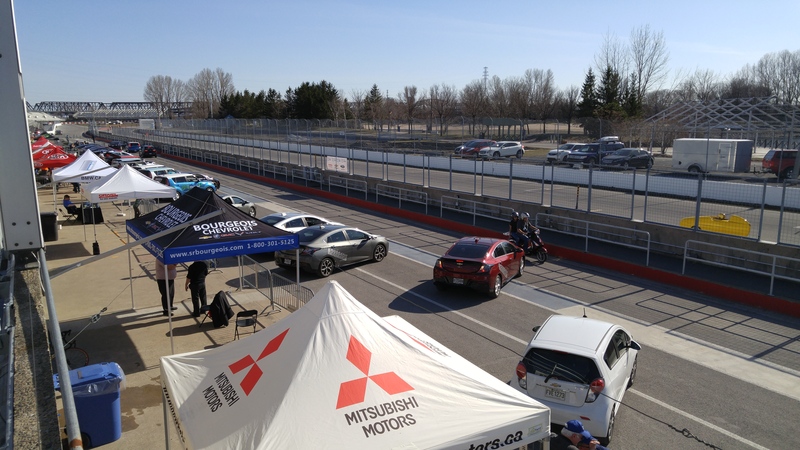 To start off, every year, a local group of electric car enthusiasts rent out the Gilles Villeneuve circuit, invite people to try out electric car, and generally talk and share electric stories. It’s called Branchez-vous, and to be honest, it is really fun. In fact it’s so big, last year they managed to break a Guinness World Record for the longest electric car meetup (glad to say, I was part of it, in EEKO‘s BMW i3). Go there, and you will find Nissan Leafs, Chevrolet Volts, Kia Soul EVs, some random eggs from Mitsubishi, Tesla Model S and Roadsters, electric school buses, electric bikes, electric boats, electric scooters, electric taxis and other electric paraphernalia. 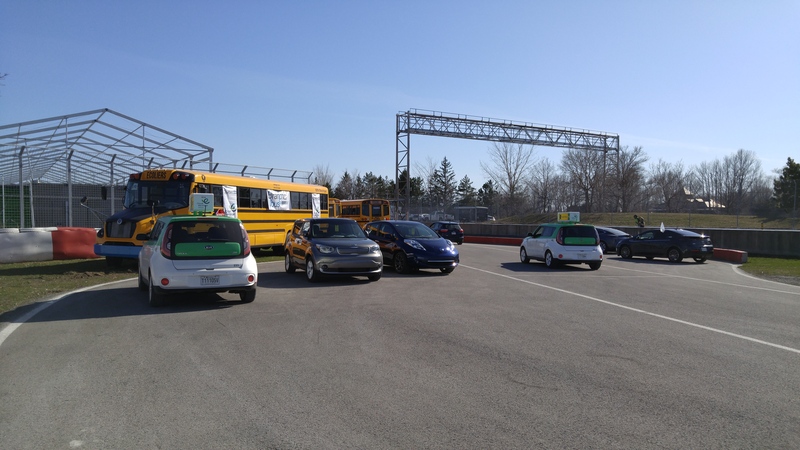 At this event, which is mostly organised by the community, electric car owners let other people try out their cars, so they can get a better feel for how electric cars drive. This is just incredible. I have never ever been to any other car event, where owners let random people drive around in their cars. In a way, it makes me think that this community is more inclusive than the traditional car enthusiast community. The reason they do this, and the reason they organise the event, is basically to convince anyone who would listen, to buy an electric car. All you hear is how bad the combustion engine is, and how great the electric motor is. So in a way, just like any other car meetup, where every owner tries to convince anyone who is close by, that their car is the best, and people should really be driving that particular model. The people who do this really have a passion for it. They volunteer, take days off, bring friends and family, and just talk about how great the electric car is. It honestly reminds me of any other car event, with enthusiastic owners sharing their stories with each other and having a really good time. And contrarily to other car events, bike manufacturers and enthusiasts were more than welcome, to showcase their new models, and let people try them out (electric bikes of course). And just like any other big car event, the manufacturers are listening, bringing their latest vehicles to try out. This year was a bit special, as Renault launched the Twizy in Canada (yes, I also have no idea how they expect it to work in the winter). And just like everyone else, they were really open and fun about the new vehicle, even letting me drag-race it against a locally made electric scooter-type thing called a Geebee. The Twizy won in case you’re wondering. In the end, after spending so much time with this community, I can only come to one conclusion. Passionate electric car drivers are just like regular passionate car drivers, the only difference is the way the conversation is powered. To a certain extent, you could even say they are more passionate as they are inclusive and have little brand fascism: you can have a Ford driver pleasantly exchanging with a Nissan owner. I say give it some time, each one will fight for their brand soon enough, Tesla drivers already do. 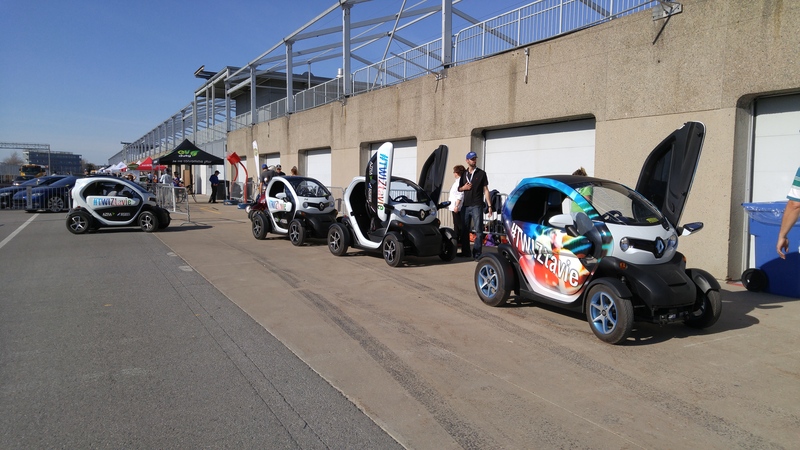 This entry was posted in Auto Industry and tagged bmw i3, branchez-vous, canada, chevrolet, circuit gilles villeneuve, electric car, eurokracy, geebee, guinness world record, kia soul ev, montreal, nissan leaf, quebec, renault twizy, tesla, volt. Bookmark the permalink. 1 Response to The electric car enthusiast, are they different?